reTux is a free game. This means that the source code is available to be studied, modified, and distributed. Most projects look for help with testing, documentation, graphics, etc., as well. ReTux (stylized as "reTux" in-game) is a libre 2-D platformer written in Python and utilizing media from SuperTux. Although ReTux re-uses the art assets of SuperTux, no code from SuperTux is used in ReTux. The software portion of ReTux is entirely new, written in Python and based on the SGE Game Engine. The main game contains 41 levels split into 5 worldmaps. 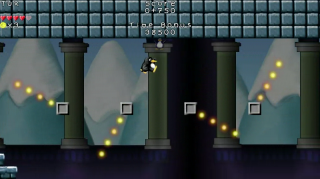 Each level also has a Tux doll which can be found for bonus points and 100% completion. It was previously distributed commercially, but released to the public at no charge in April 2017.